And it just keeps going on, we just came home from Billy Rodgers' Funeral & found this on the computer, from Adam Hill. 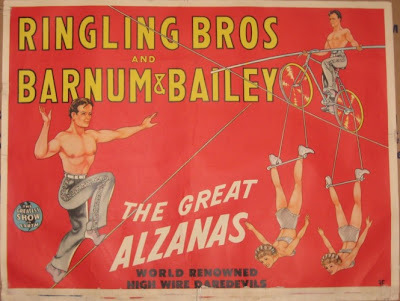 This started his career all over again, and off he went on different circus's, television, vaudeville, sportsmand shows, and then an offer to travel to England to work the Bertram Mills circus, and a command performance before the Queen and the Royal Family. Prince Phillip was very intriqued with Major the pony, and asked how old he was, and thought that it was interesting because he was quite old at the time. 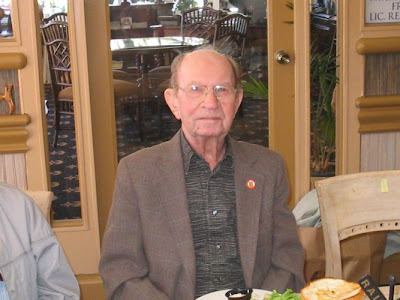 Sonny is having a Military Funeral on Monday Dec.1st, 2008 in Springfield Mo. at the Veterens Resting Place. In lue of Flowers, please send any memorials to the Dogs for the Blind, in San Carols Calif. 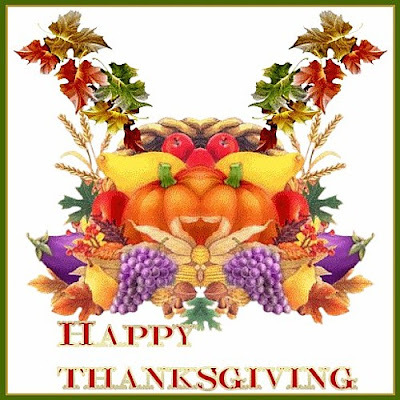 Since Trudy & I are all alone, we've been invited to Judy & Lee Stevens' house for Thanksgiving Dinner........ ATTSA NICE!!!! 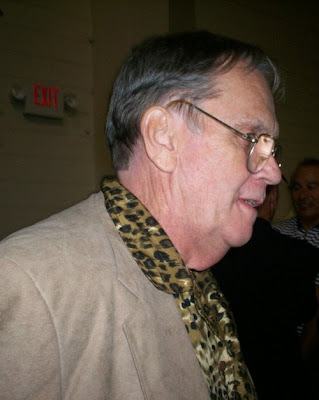 He greeted everyone with a friendly smile, a gentle handshake, & a soft spoken word. 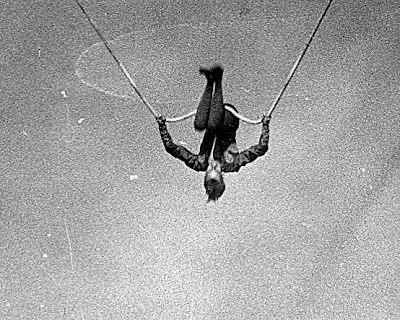 It's hard to imagine a world without Charlie Smith. Kitty, our hearts go out to you, and we keep you in our prayers. Lola Goetschi, 86, of Sarasota since 1947, originally from Sofia, Bulgaria, died at home, Nov. 17, 2008. 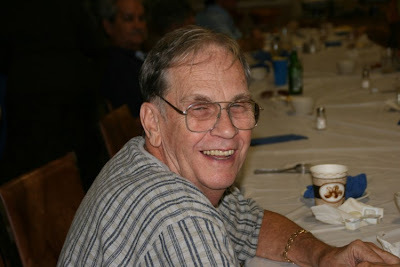 Memorial service will be held at (2pm on Monday, December 8th 2008) at the Show Folk's Club of Sarasota. took her throughout the world. 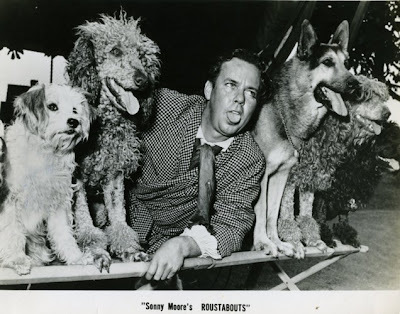 including Ed Sullivan. 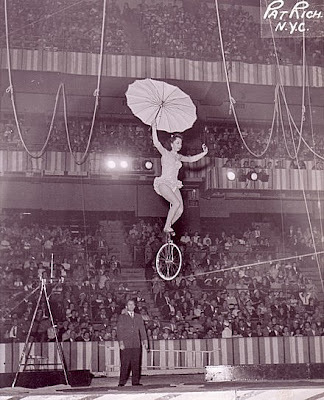 Her favorite, of course, would be her brother's circus, Al Dobritch International Circus. 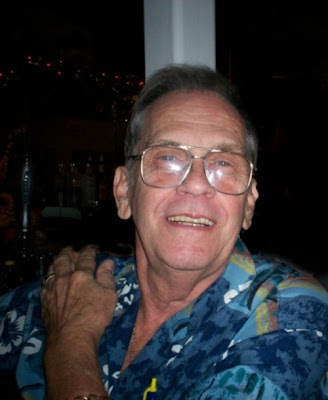 flowers, donations to Hospice would be deeply appreciated. BILLY RODGERS PASSED AWAY THIS MORNING, NOVEMBER 24, 2008! 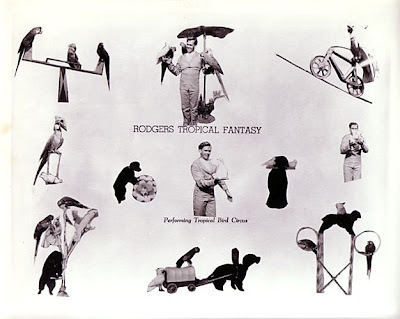 When I first met Billy Rodgers, he did a Cloudswing Act under the name of Billy Orwell, after his hometown, Orwell, Ohio. 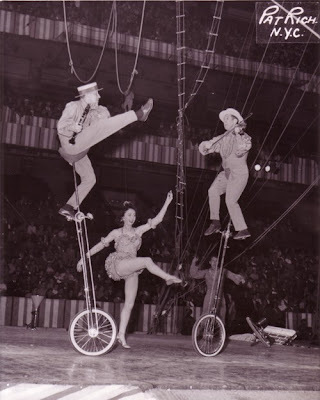 I'm sure Billy's career was cut short by a very bad automobile accident years ago, even though he continued performing I think the effects of the injuries eventually took their toll. 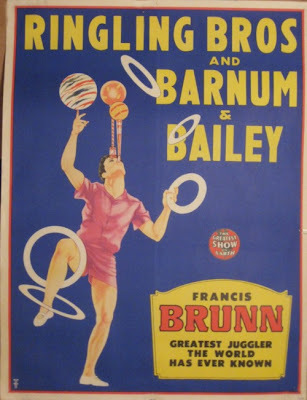 He stayed connected to the circus business when he opened his, "Pirates Treasure Cove", and supplied us all with baubles, bangles, & beads, for many years. This is Billy with his partner Kenny Dodd. I DON'T KNOW IF THE GLOVES WERE ANY GOOD, BUT THE GUY ENDORSING THEM WAS TOP QUALITY ALL THE WAY!!!! 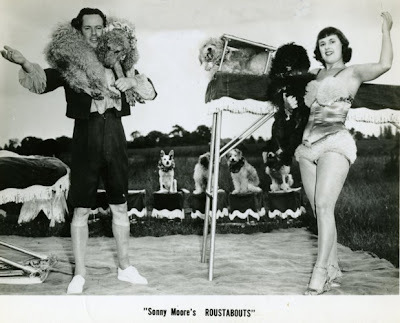 FOR THOSE OF YOU WHO DO NOT KNOW, JOANNE & PEE WEE ARE ON THE ROAD FOR 30 WEEKS WITH THE BROADWAY SHOW, "CHITTY CHITTY BANG BANG", WHERE JOANNE'S DOGS ARE APPEARING IN THE SHOW. 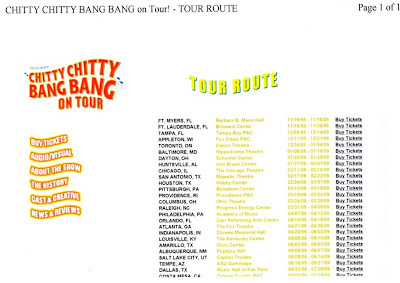 FOR MORE ON THE SHOW, GO TO .... chittyontour.com .... & CLICK ON THE TOP LINK. stuff I once considered too modern! discussion about poster conservation and care. "pulls" on the press handle to press the paper against the inked type. 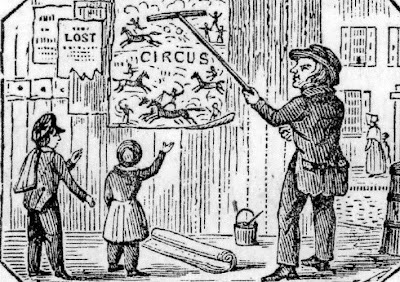 illustrated is later than 1873.
were judged as second-class because of their crude appearing posters. discarded in favor of offset in their new location. 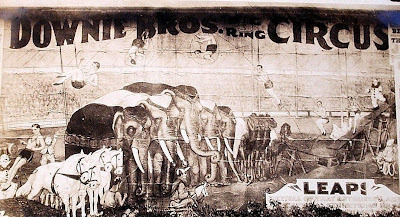 Nathans & Co's Circus" that was done by Joseph Morse himself in 1856.
owned two of them at one time but they were discovered separately. 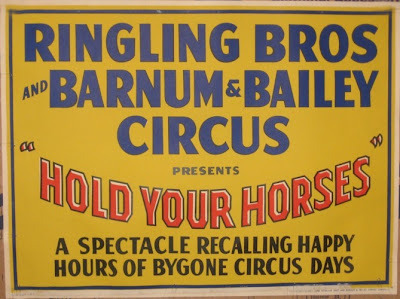 of some posters ready to be shipped from the old Enquirer shop. gone to one town along the route to be picked up by the billing crew. Normally I like to get a series of posts completely together before publishing them, but in this case it is so time consuming, it will come in installments, and will grow as I add to it, some times daily, so,,,,Y'all come back now, y'hear!!!! 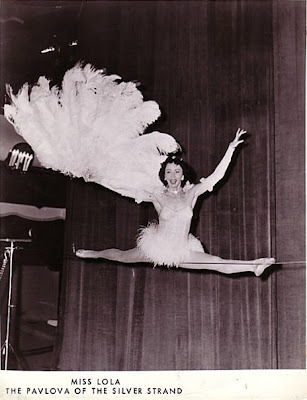 I would also like to include more commentary, but the truth is, I am not that knowledgeble on the subject. If some one would like to comment on a particular poster I would be more than happy to move the comment to the proper poster. DEDICATED TO EVERY BILLPOSTER WHO SPENT HOURS,,DAYS,,MONTHS,,YEARS,, WALKING THE STREETS OF EVERYTOWN, U.S.A. CARRYING A BUCKET OF PASTE, A HAMMER, & A POCKET FULL OF TACKS! 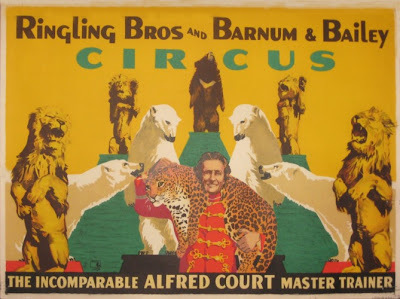 The dimensions of circus posters are extremely important historically, and may help in identifying the period of production. 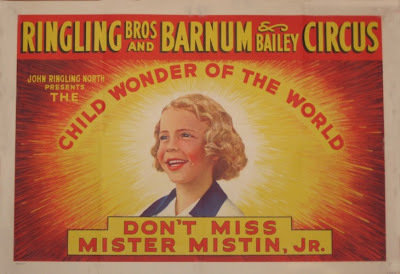 Originally, the sizes of random posters were based solely upon the size of the printing press bed, and thus varied greatly. Eventually, however, with lithography virtually taking over the printing industry, a unit of measure called a "sheet" was standardized at 28 by 42 inches. These dimensions were based upon the standard dimensions of a lithography stone that a single man could handle or carry. 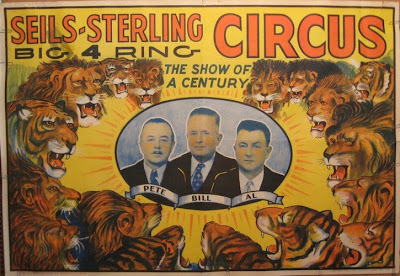 Circus posters were identified as "sheets" or multiples of sheets. Probably the most common were "one-sheets" measuring 28 by 42 inches, followed by "half-sheets" measuring 28 by 21 inches. 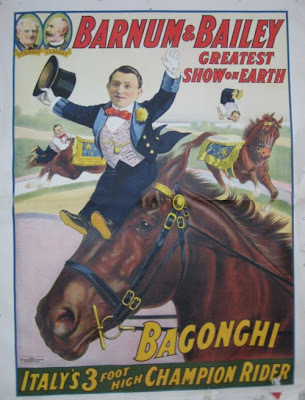 "Flats" would have the poster in a horizontal format, while "uprights" would have a vertical orientation. Various multiple sheets were also produced including 2-, 3-, 4-, 6-, 8-, 12-,15-,16-, 20-, and 24-sheets, with corresponding multiple dimensions. 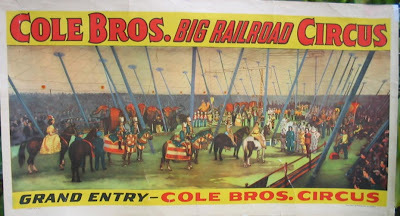 Larger multiples were also produced in rare instances, including 100-sheet posters and larger, first for the W.W. Cole Circus, Forepaugh-Sells Brothers and the Buffalo Bill Wild West Show. 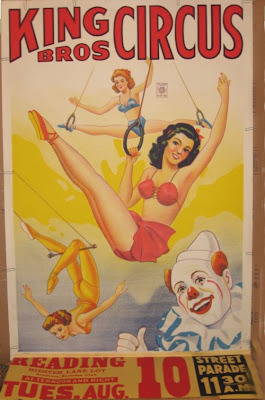 There were also some posters produced that did not adhere to the standard sheet dimensions. "Panels" were designed specifically for use in merchants' windows, to allow advertising without covering too much of the window display. One-sheet panels measured 54 inches long by 21 inches wide and one-half sheet panels, which were printed both with horizontal designs and vertical designs, measured 14 by 42 inches . 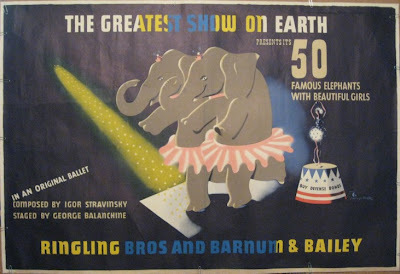 "Streamers" were also printed, which had the show title one sheet high by from 2- to 28-sheets wide. 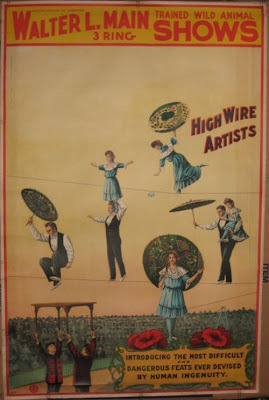 These were used across the top of large pictorial posters. 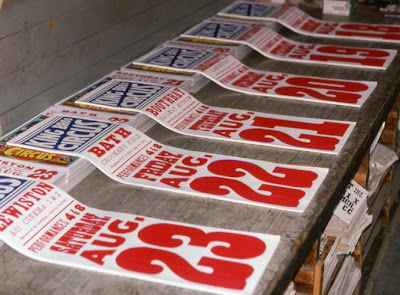 For every pictorial poster show printers produced, they also printed numerous "date sheets". 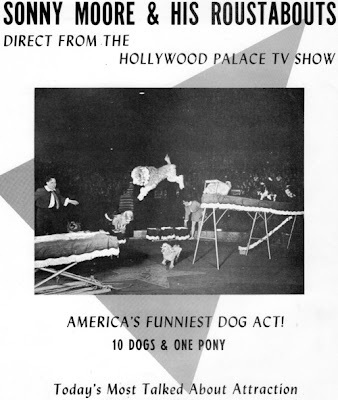 Date sheets included the show title, the town, the show date, and sometimes generic advertising text, such as "One Day Only","Wait for the Big Show", etc. 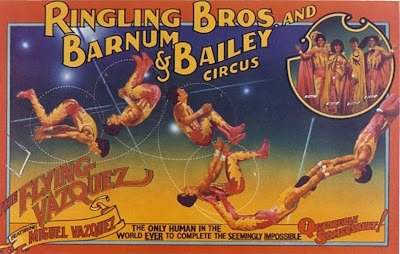 These posters were printed by letterpress, usually in one color, either red or blue, or more rarely in two colors, usually red and blue, with overlapping areas appearing deep violet or black for a third color. 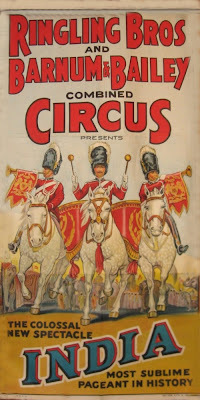 Date sheets were printed in standard sheet sizes, along with smaller "date tags" (known also as "date strips" or "date tails") which would be pasted along the bottoms of pictorial one- and half-sheet posters by the circus' advance billing crews. This series of posts is really great! 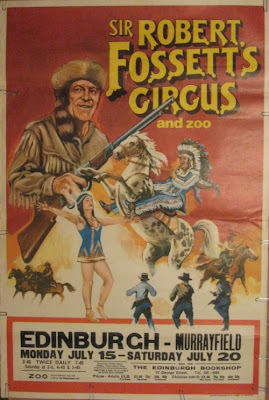 The poster description paragraphs were written by me in an article entitled "Ethical Concerns for the Conservation of Circus Posters", which I originally wrote for museum conservators (formerly known as restorers) and curators, and it was later published by Mr. Pfenning in the Bandwagon magazine for the Circus Historical Society. 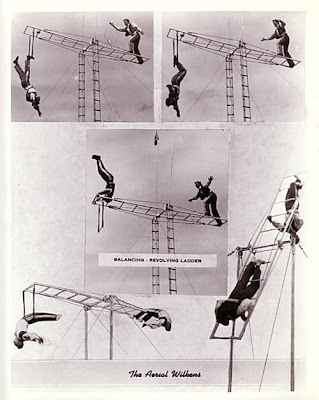 You can see my original article at http://palimpsest.stanford.edu/waac/wn/wn17/wn17-2/wn17-205.html, which is part of the Stanford University Library web site. The "restoration" treatment for posters in most museums is VERY different than what happens to most in private hands. As a graduate trained Fine Arts Conservator who has worked on thousands of Masterpieces during my 30+ year career, I am very concerned about how many posters are "restored" by unknowing individuals who decide that restoration consists of gluing a poster to a piece of linen fabric. 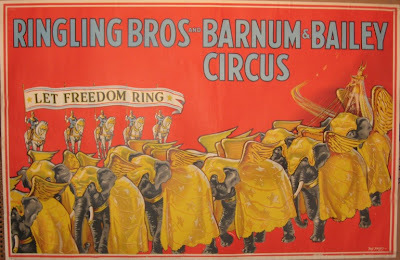 You will not find this being done to posters at the majority of important museum collections that contain circus poster collections including the Library of Congress, the New York Historical Society, the Shelburne Museum or many others. 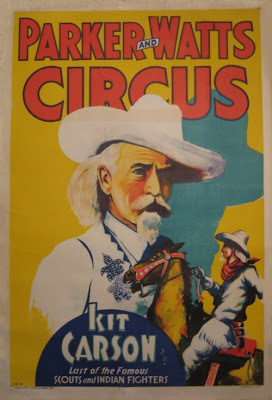 Unfortunately, Circus World Museum started mounting posters to an irreversible linen lining called "Chartex" many years ago which in my professional opinion, has permanently destroyed many rare original posters that will never be saved. The heat set adhesive on Chartex consisted of a wax-resin mixture that chemically cross-links with age and can only be undone with very strong organic solvents that will dissolve the original inks. Thankfully, CWM is no longer using this product to my knowledge, but unfortunately the majority of their posters have suffered this fate. Too many posters, even today, are being lined to linen and other fabrics with adhesives that become irreversible with age, some are irreversible as soon as they are applied. 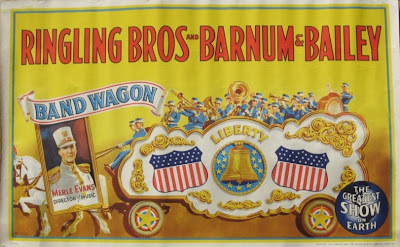 I have also witnessed too many posters where "restorers" have used linen linings without the proper understanding of how paper expands and contracts with moisture or heat, leaving horrible wrinkles in posters that can never be removed without heavy-handed treatments in an attempt to remove the fabric linings. The only acceptable museum conservation methods for posters that really need linings (and the actual number requiring linings is a fraction of what is currently being done out there) is to line them with Japanese tissue paper and Wheat or Rice Starch Paste as an adhesive. At the leading collections including those mentioned above, this is the ONLY adhesive that is ever used on works of art on paper EVER. The reason being is that it is completely reversible in MOST cases. The addition of linen or any other type of fabric is absolutely unnecessary, if a Japanese tissue paper lining is done correctly. 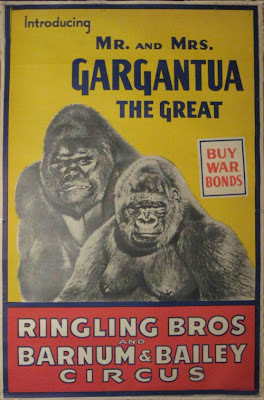 People do not realize it, but amazingly some inks used in early posters are actually water soluble, thus ireversibility of CORRECT linings has to be done with absolute understanding and precise technique. Since I'm on the topic, many ill-informed "restorers" also get too enthusiastic when trying to retouch damages. 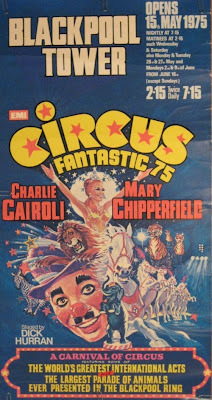 I have seen circus posters where air-brushing has covered entire areas of posters where a small tear or ink loss is smaller than one quarter of an inch. Many of the paints used for this type of work are also completely irreversible and will become even more damaging as the original inks and paper naturally discolor with time and age, while the over-painting will age and change very differently and become increasingly discolored next to the original printing materials with time. 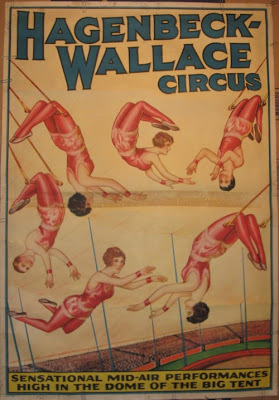 I am also adamantly against retouching or painting over fold lines or fold marks in posters, especially multiple sheet posters, since these marks are ORIGINAL to the manufacture and use of the poster. 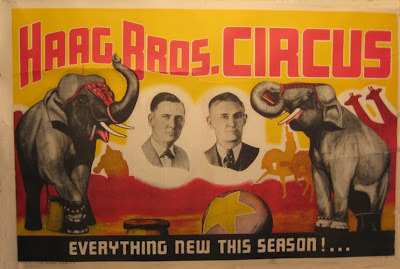 Printing Companies including Strobribge, Courier, Riverside, Donaldson and others that printed circus posters had to send them to advance crews folded up so that they could be shipped, back in the day. I would even suggest that the fold lines are historically significant and could even vary from Company to Company depending on their own folding process. This is historical information that should be PRESERVED, not covered over by some restorer for an uninformed collector that wants a pristine image. Pristine posters are simply covering up history. I am sure that many collectors who read this are going to get their underwear in a cinch, but these are the facts of the matter in the MUSEUM WORLD that exists today. You should always be careful about having anything restored, period. Professional conservation is expensive because it takes a level of professional knowledge that few take the time to gain. Many of today's professional conservators in museums have had training equal to that of a medical doctor and have gone through internships and fellowships at leading museums throughout the world as part of their training. I am sure that you want the best doctor available to treat your personal medical conditions, so you should seek the same level of professionalism when you are having your prized possessions treated or "restored" as well. 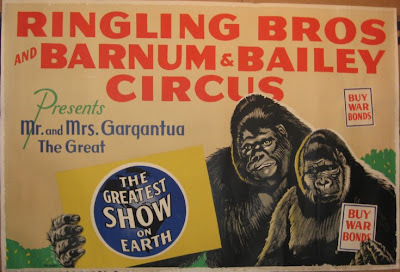 Private Collectors of circus posters or anything else for that matter are just like museums in that they should only consider themselves as a caretaker of artistic or historical artifacts that should last much beyond their own existence. Have a question for Mr.Cockerline. First,thank you for the information on how we should care for our litho collections. Along time ago, I had a museum staff member recommended that I should store my lithos in archival plastic which you can still purchase by the roll for a reasonable price. I have placed them in plastic,leaving room for the plastic to expand and contract. Some of these have been like this for 35 years with no damage to the litho. In fact you can handle them without fear of wear and tear. I store them in large flat file drawers. The biggest problem that we have today,is that the lithos that do turn up, are sometimes in bad shape. What type of tape do you advise to help these from coming apart? Also, I have problems with Kelty's that have been stored rolled up for 60 years. They need some type of tape to repair them and I have not used anything for fear of it bleeding into the print. As you stated,we are just the caretakers for this material. 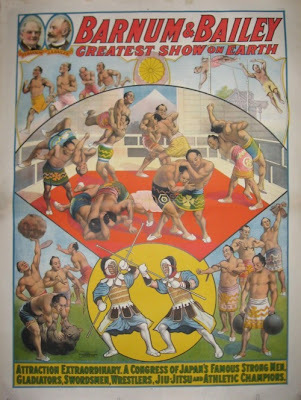 "EVERYBODY WANTS TO GET IN THE ACT"
AT TIMES THE SHOW'S POSTER WOULD EMPHASIZE THE THEME OF A PARTICULAR PRODUCTION NUMBER. 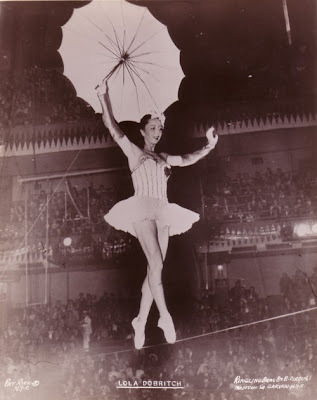 In 1942 John Ringling North wanted something unique in the show so he asked George Balanchine to choreograph a ballet for the big show herd. 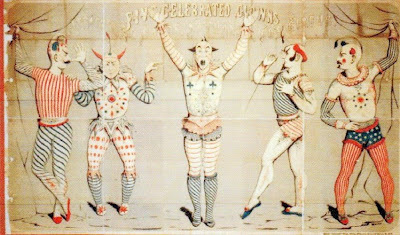 Balanchine then asked Igor Stravinksy to write the music and the "circus polka" was born. Poster enthusiasts aren't wishy-washy about this design - they either love it or hate it. 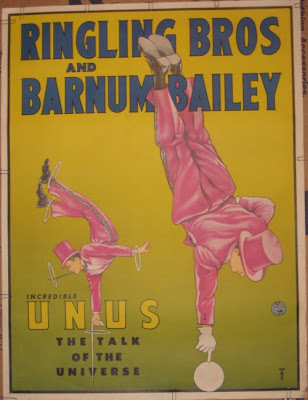 It may not be too "circusy" but the design by famed poster artist E. McKnight Kauffer and produced by the McCandlish Litho Co of Philadelphia is sought-after by collectors because of the many powerful names on it: Stravinsky, Balanchine, Kauffer and of course Ringling, Barnum & Bailey. THIS IS THE TRADEMARK FOR THE NORMAN BEL GEDDES STUDIO FROM THE ALFRED COURT POSTER ABOVE.